In agriculture, when produce doesn’t meet the highest grade, growers are forced to sell it for a loss, despite incurring all of the costs of production and labour. 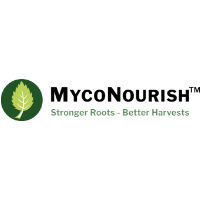 At MycoNourish, we add value for growers. We do this by using beneficial fungi, known as ‘mycorrhizae’, which work in symbiosis with crops to enhance yields. Unlike other products, which provide ‘one size fits all’ solutions, our fungi are customised to pair with specific crops, and tailored to solve the most important problem in each one– such as increasing the number of strawberries that meet the highest grade. Our fungi are highly adaptable, and while we can improve quality in strawberry production, we can also tackle issues ranging from improving water uptake in semi-arid regions, to improving pollination. So now, instead of being forced to sell 10% of their produce at a loss, growers can use our fungi to enhance production, reduce losses, and maximise their margins.